It’s been a while since previous blog update. There are a lot of things happened in our team: almost all of us changed work place, our lead game designer going to be a father really soon and so on. So we had not enough time to update this blog. We continue develop our project War of Planes . We are refining code and design from prototype state to actual stable form. And we are in the middle of this long process, so right now game looks worse than in prototype state, but in future it should help us a lot. (The bigger building you going to build – the deeper pit you should dig in the beginning). It’s actually it. We will show some pictures and videos as soon we will have something to show. As a continuation of previous post I’ll describe which tools we use to organize our work as a team. First of all we are not work in office. We are a distributed team. But because all of us in the same city we perform face to face meetings once a week. It helps a lot actually. So, usually for collaborative work you need three things: version control system, documentation storage and task tracking software. We have all three: for version control we use SVN repository on our domain, and use integrated in shell client – Tortoise SVN to handle this stuff. For documentation we use Google Docs – it’s a really great software for collaboration document handling. It has great on-line editors for different types of documents like spreadsheets and drawings. Not to mention comments tool and sharing options. Finally: for task tracking we use very simple script WebCollab – it just a collection of notes with dates and milestones. Because we are a really small team we don’t need monstrous software like JIRA (which is actually good). Also I want to mention – we have created mailing list to announce each other about tasks we are doing. it’s quite useful thing . Such organization tools really help to concentrate on game development rather than coordination tasks. If you just started your small indiedev studio I highly recommend use such tools as mentioned above. Sometimes it’s interesting to know which tools was used for current game creation. I’m going to write up which tools we use to create our game. To make game creation as fast as possible it’s very wise to use already existed game engine. As many indie studios worldwide we use Unity game engine. We decided to use this engine for several reasons: it’s free, it has great community, it simplify cross-platform deployment and most of all: we have several years of experience with the Unity. So for code authoring we use integrated MonoDevelop IDE. For 3D content authoring we use Blender. There are also several reasons for it. It’s free, it has a lot of free tutorials and we have experience with it. (Personally I prefer Blender to 3D Max and Maya – had a lot of experience with those tools too). For easy tasks we use Paint.NET. But for complex tasks there is the only option – Photoshop. We use Creative Cloud option to minimize our spend for tools. Next post will be about tools which we use for collaboration work. 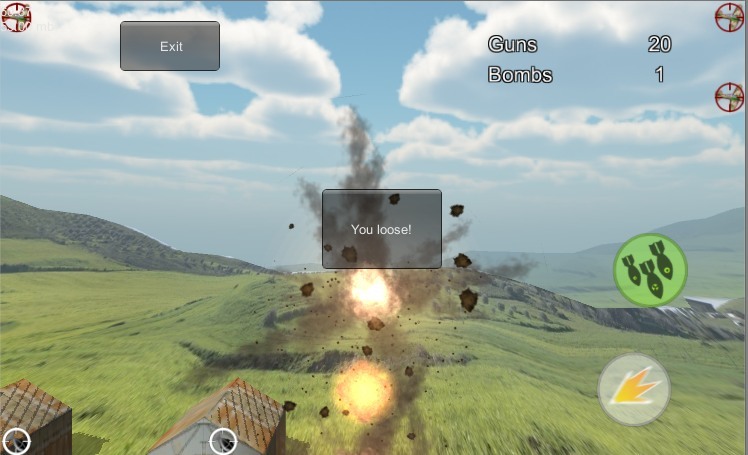 War of Planes – our first project. Our current game in development is plane themed arcade multiplayer game. Sounds complicated but actually it’s a very simple concept. 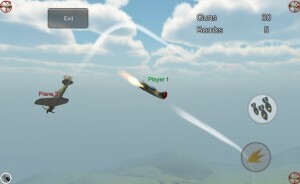 The gameplay itself is inspired by old 2D planes games like Wings of Fury. But we intend to make this game mostly about multiplayer – so we a little bit inspired by modern multiplayer games about planes: Warthunder and World of Planes. We are not going to create simulator like game. We want to provide short session gameplay with arcade-like experience. For now we are working on detailed game design and monetization (we are going implement F2P model – but quite fair). Target platforms for the game are iOS and Android, but we also looking to PC – possibly Kongregate and Steam. Take a look on screenshots from two-weeks-prototype to be more informed what I’m talking about.